Mark is now in Vancouver! - Gateway to Canada | Canada Immigration Consultancy! Mark is now in Vancouver! 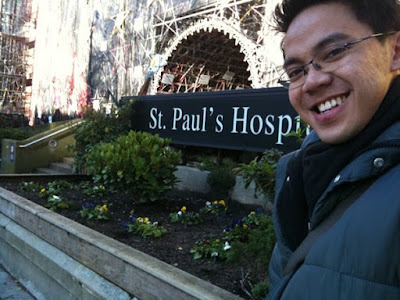 If you have read my post about Guide for Filipino Nurses, you will be familiar with the case of Mr. Mark Hernandez. For those who are just new here, Mark sent his resume to me for assessment a year ago. He is a Registered Nurse but at the time, he barely have one year work experience. He is not eligible to apply under Federal Skilled Worker program and like what I normally advise to those who are not yet eligible, I told him to start looking for a job offer from Canada (Here's how to find jobs in Canada). He did and he is now working in the beautiful city of Vancouver! I haven't met Mark in person but we constantly communicate through email and IM's. 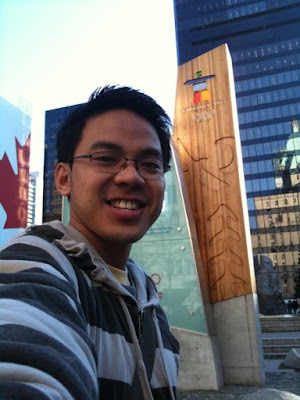 Yesterday, he told me that he was able to watch 2010 Vancouver Winter Olympics! He also told me that he met Marieton Pacheco last month.